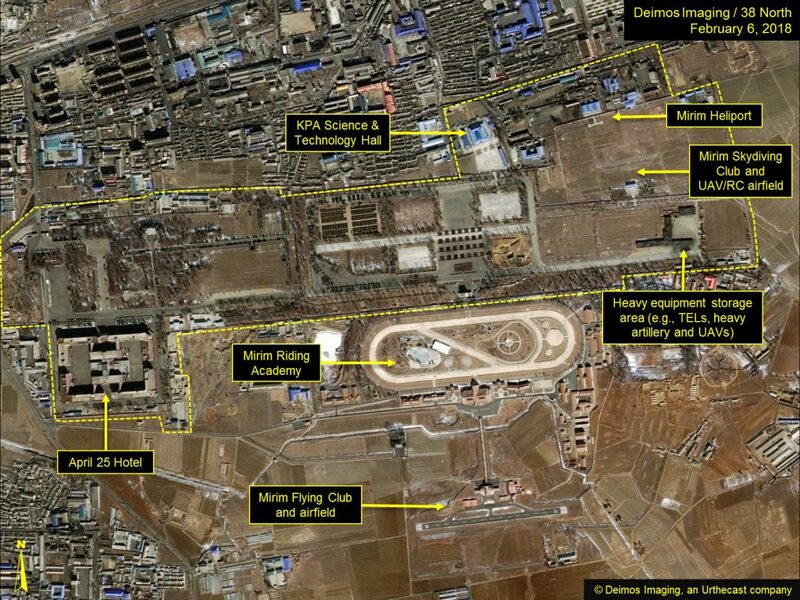 A Deimos-2 image of North Korea’s Mirim Parade Training Facility from February 6 indicates continued practice drills for an upcoming military parade expected to be held February 8. On January 28, there were approximately 12,000 troops and 110 artillery pieces, tanks, armored personnel carriers and armored fighting vehicles practicing. Yesterday, there were approximately 13,000 troops but only a small number of artillery pieces and armored fighting vehicles visible. Today’s image shows approximately 13,000 troops in various sized formations and approximately 150 towed and self-propelled artillery pieces, tanks, armored personnel carriers and armored fighting vehicles moving along the perimeter road in parade formation. 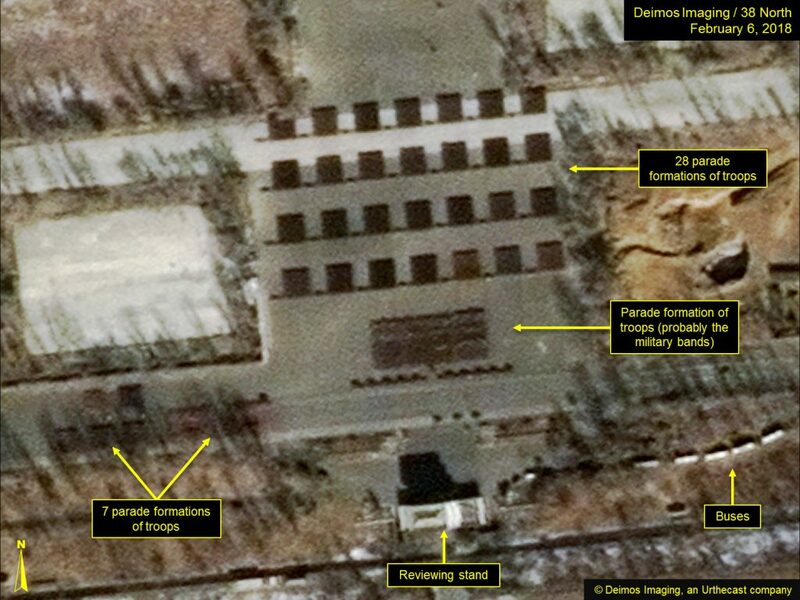 While normally ballistic missile or unmanned aerial vehicle (UAV) launchers visible would arrive around a week before a parade, none have been seen yet anywhere on the parade ground or at the heavy equipment storage area. 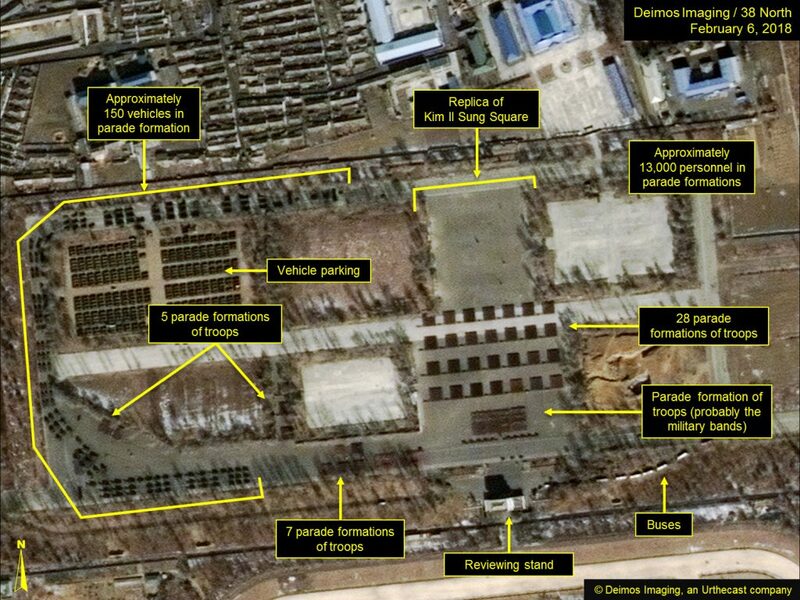 However, there is some ground scarring at the storage area probably due to heavy vehicle movement. Figure 1. Overview of the Mirim Parade Training Facility on February 6, 2018. Figure 2. Approximately 13,000 personnel and 150 towed and self-propelled artillery pieces and tanks, armored personnel vehicles and armored fighting vehicles are in formation in the center section of the training facility. Figure 3. 36 formations of various sizes are present in the replica of Kim Il Sung Square. Figure 4. 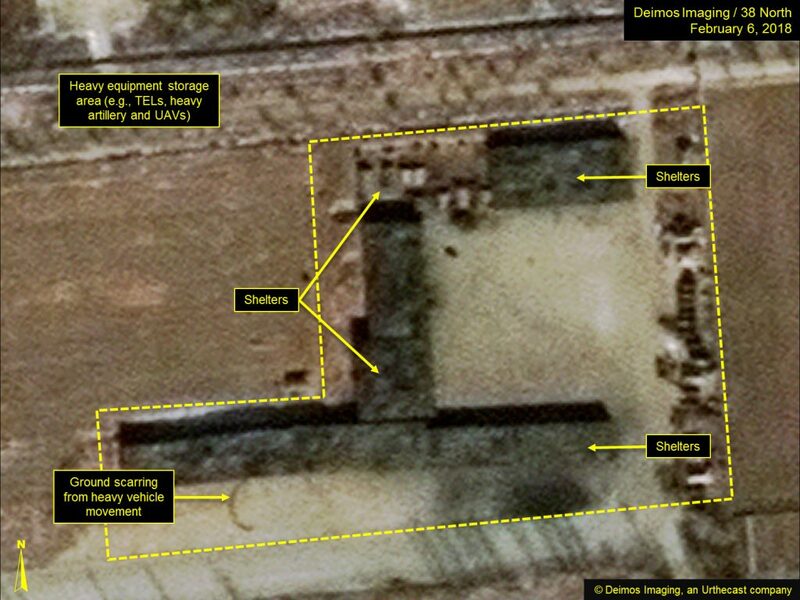 No ballistic missile or UAV launchers are visible in the heavy vehicle storage area, but there is some ground scarring in front of several shelters. Figure 5. 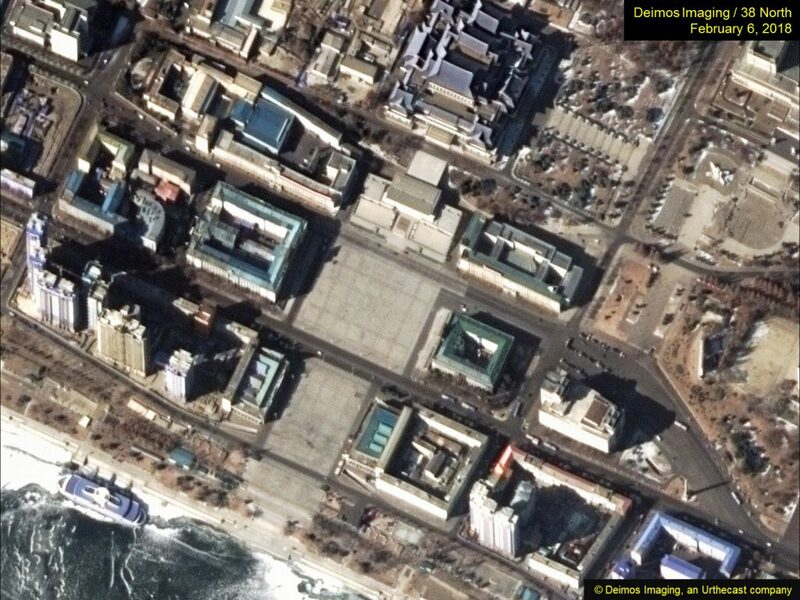 No activity is noted at Kim Il Sung Square.